I read the other responses in the forum about people who were having this problem, and they had to use the jotform.com email address in order for it to send correctly. But even after doing that, it doesn't work. 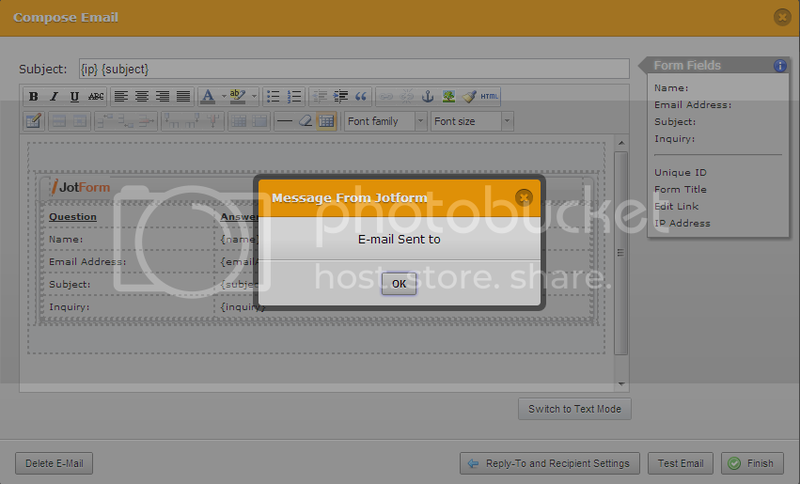 The Test Email function can send only to the email address that is registered with your account. The problem is that you do not have a registered account yet. 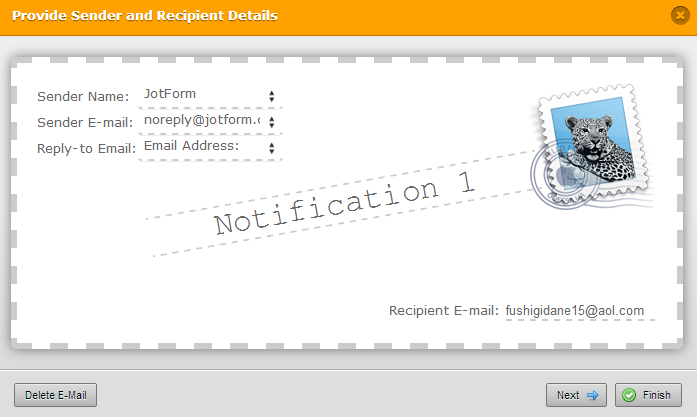 Kindly sign up for a free JotForm account first. Afterwards, you may proceed on using the Test Email function. Note: Your form will automatically be transferred to the new account. If for some reason it doesn't, just let us know and we'll have it moved manually. We look forward to hearing from you soon. Cheers! Haha, I probably should have done that first. Thanks for the help. I'll go ahead and sign up then.